Sound the alarm! This month’s professional lesson kit for aural rehabilitation is “Firefighter” themed and it’s full of great therapy resources. Download your free rehabilitation lesson kit at the bottom of this post. If you’re new to our themed lesson kits, you should start with Lesson Kit #1 “My House”. The first rehabilitation lesson kit is also available in German, French, Portuguese, Russian, Spanish, and Indonesian! Lesson Kit #2 “My Kitchen” is also available in French, Portuguese, and Russian at the bottom of the English articles! This month, the lesson kit theme is “Firefighters”. 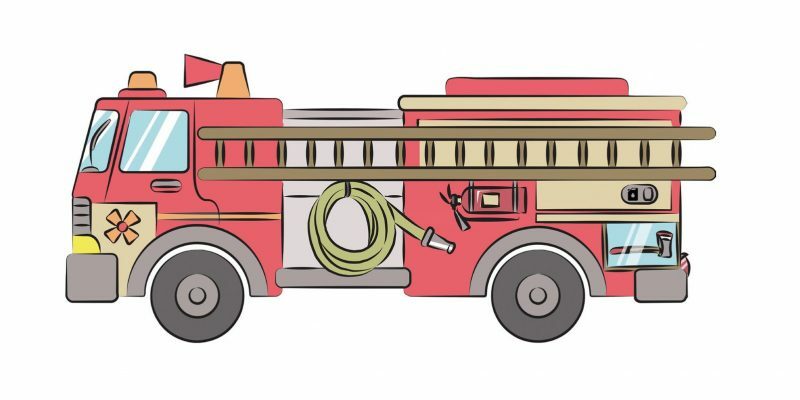 There’s a Fire Engine puzzle to help build listening skills, a firehouse matching game for building vocabulary, a fun sing-along, and more! 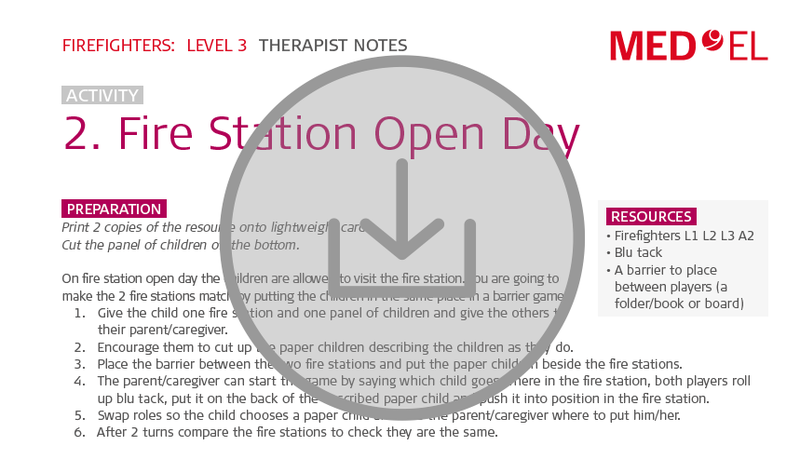 Download Rehabilitation Lesson Kit #23: Firefighters now! Like these lesson kits? Let us know what you think in the comments below. Know someone who would love these lesson kits? Help them out and share today!